Ghannadpour, S., Rezahoseini, A., Noori, S., Bodaghi, M. (2018). Reducing rework and increasing the civil projects quality, through Total Quality Management (TQM), by using the concept of building information modeling (BIM). 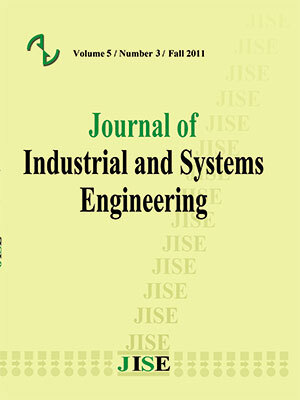 Journal of Industrial and Systems Engineering, 12(Special issue on Project Management and Control), 1-27. Seyed Farid Ghannadpour; Ali Rezahoseini; siamak Noori; Mostafa Bodaghi. "Reducing rework and increasing the civil projects quality, through Total Quality Management (TQM), by using the concept of building information modeling (BIM)". Journal of Industrial and Systems Engineering, 12, Special issue on Project Management and Control, 2018, 1-27. Ghannadpour, S., Rezahoseini, A., Noori, S., Bodaghi, M. (2018). 'Reducing rework and increasing the civil projects quality, through Total Quality Management (TQM), by using the concept of building information modeling (BIM)', Journal of Industrial and Systems Engineering, 12(Special issue on Project Management and Control), pp. 1-27. Ghannadpour, S., Rezahoseini, A., Noori, S., Bodaghi, M. Reducing rework and increasing the civil projects quality, through Total Quality Management (TQM), by using the concept of building information modeling (BIM). Journal of Industrial and Systems Engineering, 2018; 12(Special issue on Project Management and Control): 1-27. One of the important problems in the field of Construction Industry is ‘rework’. It affects time, costs, quality, and almost every criteria of project success. As a result of rework and ineffective use of resources and materials in the workshops, there is always a considerable loss of resources, materials, investments, and workforce-time. Designing and planning through full awareness of clients and stakeholders, effective communication between the project factors, utilizing quality management systems, and using Information Technology [IT], can lead to a reduction of rework. In the recent years because of, the global development of IT, and widespread use of BIM-which coordinates all of the software and sections of the construction-the emergence of errors and inconsistencies have been dramatically decreased; helping the experts to realize their full professional potential in [doing] the projects. This study, while analyzing the effects of rework and its related factors on the civil projects, expresses the need for implementing TQM system through BIM tool, and finally provides a model for TQM implementation through using of BIM. Arditi, D., & Gunaydin, H. M. (1997). Total quality management in the construction process. International Journal of Project Management, 15(4), 235-243. Bowen, H. (1992). Implementation projects: decisions and expenditures. Manufacturing Systems: Foundations of World-Class Practice, National Academy Press, Washington, 93-99. Chini, A. R., & Valdez, H. E. (2003). ISO 9000 and the US construction industry. Journal of management in engineering, 19(2), 69-77. Cusack, D. (1992). Implementation of ISO 9000 in construction. In ISO 9000 Forum Symp. Dung, D., & Tarar, M. (2012). Impact of 4D Modeling on Construction Planning. CHALMERS UNIVERSITY OF TECHNOLOGY. Eastman, C. M., Eastman, C., Teicholz, P., & Sacks, R. (2011). BIM handbook: A guide to building information modeling for owners, managers, designers, engineers and contractors. John Wiley & Sons. Hergunsel, M. F. (2011). Benefits of building information modeling for construction managers and BIM based scheduling. Khoshnava, S., Ahankoob, A., Preece, C., & Rostami, R. (2012). Application of BIM in construction safety. In Management in Construction Research Association (MiCRA), Postgraduate Conference, University Teknologi Malaysia, Malaysia. Krygiel, E., & Nies, B. (2008). Green BIM: successful sustainable design with building information modeling. John Wiley & Sons. Love, P. E., & Edwards, D. J. (2005). Calculating total rework costs in Australian construction projects. Civil engineering and environmental systems, 22(1), 11-27. Love, P. E., & Irani, Z. (2003). A project management quality cost information system for the construction industry. Information & Management, 40(7), 649-661. Migilinskas, D., Popov, V., Juocevicius, V., & Ustinovichius, L. (2013). The benefits, obstacles and problems of practical BIM implementation. Procedia Engineering, 57, 767-774. Parvan, K. (2012). Estimating the impact of Building Information Modeling (BIM) utilization on building project performance. University of Maryland, College Park. Pike, R. J., & Barnes, R. J. (1995). TQM in Action: A practical approach to continuous performance improvement. Springer Science & Business Media. Rooke, J., Seymour, D., & Fellows, R. (2004). Planning for claims: an ethnography of industry culture. Construction management and economics, 22(6), 655-662. Teicholz, P. (2004). Labor productivity declines in the construction industry: causes and remedies. AECbytes Viewpoint, 4(14), 2004. Tommelein, I., Ballard, G., Rundall, T., & Feng, P. P. (2007). The real cost of rework. Winberg, A., & Dahlqvist, E. (2010). BIM-the Next Step in the Construction of Civil Structures. Love, P. E. D., Ackermann, F., Carey, B., Morrison, J., Ward, M., & Park, A. (2016). Praxis of rework mitigation in construction. Journal of Management in Engineering, 32(5), 05016010.